Anne Lopes, Ph.D. has joined the Brooklyn College administration as provost and senior vice president for academic affairs, effective August 13. “Anne brings tremendous experience and insight to the work here at Brooklyn College, and we are excited to have her join the team this summer,” says President Michelle J. Anderson. 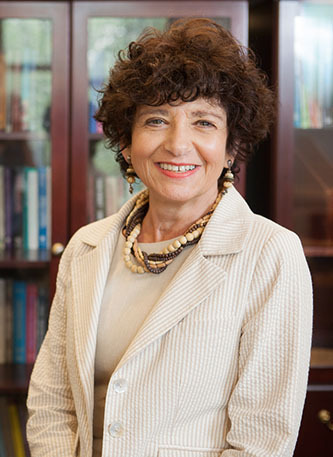 Lopes comes to Brooklyn College from John Jay College, where she served as interim provost and senior vice president for academic affairs. In that role, she focused on strengthening undergraduate and graduate programing, and improving faculty diversity and satisfaction. Previously, Lopes served as associate provost for strategic initiatives and dean of graduate studies, with a broad portfolio of graduate education, professional and online programs, and strategic initiatives. Her tenure at John Jay began as dean of undergraduate studies, with a special focus on general education, new programs, and the expansion of academic services, including honors projects. Prior to John Jay, Lopes served as associate dean at Empire State College, SUNY, and as a chair and professor at Metropolitan College of New York. Throughout her career, Lopes has received numerous government and foundation grants. She is the recipient of teaching awards at both New York University and Metropolitan College of New York. A political theorist by training, her research focused on the relationship between social democracy and gender in late nineteenth-century Germany. She holds a doctorate in political science from the Freie Universität in Berlin, Germany; an M.A. in political theory from Goddard College; and a B.A. in political science from Ramapo College.